This year our company participated again in the exhibition “Internships” at the Technical University of Sofia and its branch in Plovdiv. It was held lots of meetings and discussions with students in the subjects: optomechanics, engineering physics, mechatronics, and electronics. From 2018 we start a program for provision of scholarships for students after the 5th semester after submission of a university certificate of their grades. For all students, who will pass their internships at the territory of our company, it is provided accommodation at preferential prices. – July, August, and September 2018 – internship period. 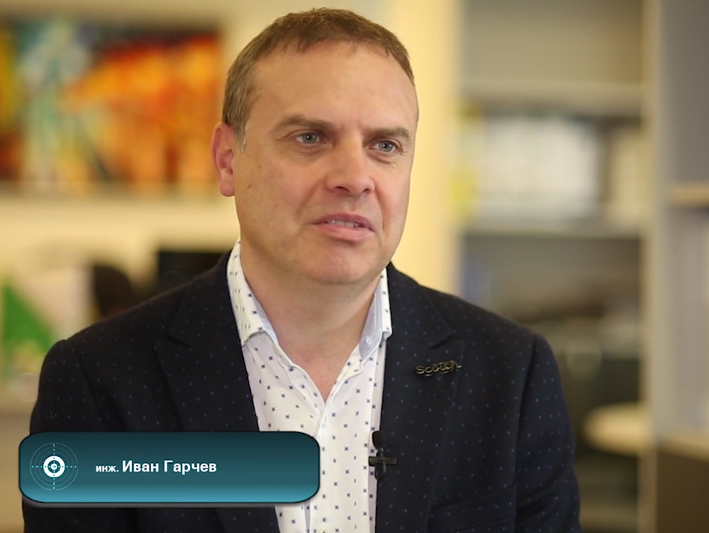 In a special video, the Patent Office of Republic of Bulgaria showed the main reasons, due to which they gave their biggest award, “Innovative Company”, for 2017 to the company Opticoelectron, located near the town of Panagyurishte. “97% of the production is exported to the countries of the European Union, the Near East and North America. Based on contemporary technologies for competition and manufacturing, the company has a closed cycle – from design and elaboration of prototypes till commercial production of parts, units and systems,” the video underlines. “Lots of things changed within the last 15 years. Company sales grew, work increased, we stepped on new markets and redirected the company, and from a Warsaw company we turned it into a global one. I am proud that during the last years we established a very strong team and hope that results will be even better during the coming years,” is the video comment of Eng. 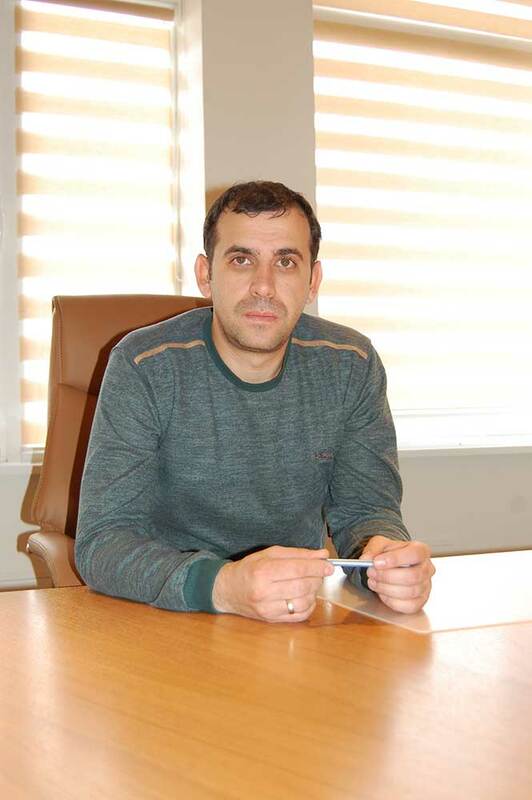 Ivan Garchev, CEO of Opticoelectron. Opticoelectron Group JSCo is the second largest company in the town of Panagyurishte and the second largest employer in the town. About 700 employees work at the territory of the industrial park, of which 150 are highly qualified engineers and PhDs. The products with the brand of “Opticoelectron” are traded all over the world and have been a synonym for quality in the field of optical manufacturing for more than 46 years. 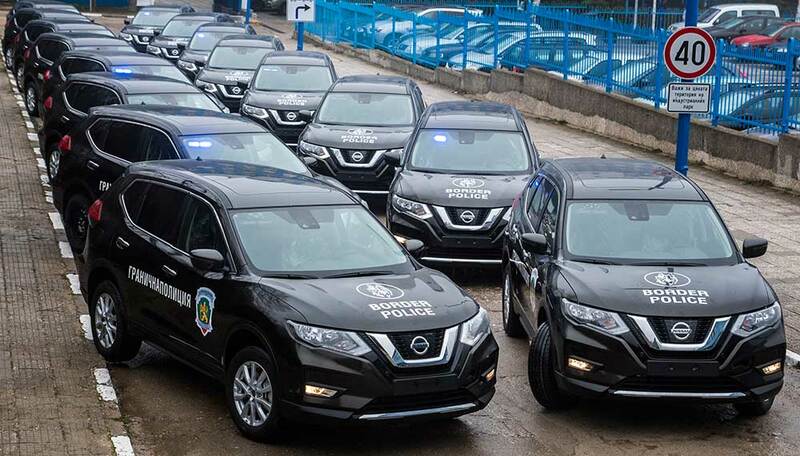 In the end of March 2018, we, Opticoelectron Group JSCo, successfully completed our subcontract with N Auto Sofia EAD (representative of Renault Nissan Bulgaria EAD) for equipping of sixteen new crossovers Nissan X-Trail with light and sound signalling systems, identification signs, signs and emblems, as well as with additional specialized equipment for the needs of the Bulgarian Border Police. The equipped crossovers will be allocated along the border of Bulgaria and will secure the daily security and defence activities of the Border Police. At the beginning of December 2017, the only Bulgarian magazine for the military industry, which is in English and distributed throughout the world, introduced a new product, Muson 17. Muson 17 is a mobile surveillance and observation system includs IR, Day and Night cameras. The mulri-sensor`s mast is with length from 1 to 4 meters. The mast is located in the rear part of the vehicle on the place of the spare tire of the vehicle. In working position, the mast can be extended to height of 3 m from the roof of the vehicle to the visualization axis of the multisensor. In transport position the mast is completely retracted in the vehicle. The roof of the vehicle in transport position is closed with a sealed cover. In а working position, the opening оn the roof of the vehicle is protected against wind and rain through water-repellent coated fabric. The control of the system is realized through a mobile PC (laptop), docking station and control panel. The mobile PC and the docking station are located in front of the navigator’s seat where there placed on a custom-made stand. After completion of work, the stand is folded and retracted in the vehicle’s glove compartment.lent coated fabric. The 21-inch professional monitor is attached to the ceiling of the vehicle in front of the two rear passenger seats and enables surveillance of the multisensor system from the two rear seats. In transport position the display is retracted to the vehicle’s ceiling. The magazine is part of a large multilingual project for the Bulgarian defense and military industry. Opticoelectron Group JSCo participates in this project, and in the future, our products, services, events and colleagues will be presented in it. My challenge in the last twenty days was to get to your office and take that interview. What about your challenge this year? Which project was the biggest challenge for you? (MV) – You know we’re working on too many projects. There is no other way, if the market requires it. Now that I think about it, the biggest challenge for the whole team was to develop a fire control system designed for artillery but also for intelligence use. At one point, we had to configure hundreds of elements as well as to provide serious engineering potential to make it fully applicable and effective product. In Opticoelectron a moment can be a week, a month or a year. Very well, I’m intrigued at first. How did you get to the idea and development of this product? I know you will not tell me the produst`s name, but at least show me the way. (MV) – Well, actually they are sources, not ways. The first source is the state of the market at the moment and obviously the need for such a product. The second is our long-term client who thinks the time has come for this product. However, the fact is that this system is currently difficult to develop and manufacture. However, as you know in Opticoelectron, this has always been a challenge, not an excuse. I know many customers are “tricky,” but how do you deal with such customers? Do you have your own method of working to satisfy their demands and want something to change in other ways in your communication with them? (MV) – It is very important to be calm and reasonable in communication. You know our sphere of work is tense and we work with people from all over the world. These are different clients with different characters, requirements and knowledge. Stress is not only in work, but also in communication. That’s why I prefer to just pause in 10 seconds first. So I calm down, concentrate and I can lead the conversation in the right direction. If I hurry with the answer this will not be good either for me or for the client. You mean that following this way of communication you eliminate a possible nervous situation? (MV) – Exactly. There are always nervous situations, so I try to avoid them. When communicating with clients, I want to know their assignment right from the start. Are there clients who know everything? (MV) – Unfortunately, there are always such clients in every sphere. But here, the role of the 10 seconds silence is very important, because during that time you can solve future conflicts. The most important is swallowing your ego and concentrating on the topic. It is then extremely easy for both parties to communicate. If you put your thoughts in your mind in time, you arrange the whole project for a long time. Opticoelectron is The Innovative Company for 2017. What did the company patent to deserve this award? (MV) – We patent all the products we develop in the company. However, the fact is that it takes a long time before everything happens. During last year, we patented three of our developments in the field of Infrared optics, a complex system configuration of optics and electronics, and two-years-old aviator`s night vision goggles. I`m sure that you know them very well – OENAG. I ask myself how do you know about new technologies? Do you have time, do you have your own channels to do that? (MV) – Unfortunately, I do not have much time to watch all the technologies, but military exhibitions are a really effective way to get to know the world’s innovation in this industry. So we at Opticoelectron can keep our watches up-to-date with today’s requirements and standards, and given that we are a strong professional team, we can easily get to the essence of a product, reveal its functionality and structure that automatically provoke us to use our knowledge to improve it. On the other hand, the well-known Internet channel is also doing great work, but as I say – only when there is spare time. So, you`re agree with the phrase that genius solutions are a simple construction? (MV) – Yes, completely. The truth is in this sentence. I know you’re an athlete. You love volleyball, and you play football almost every week. Does sport in any way affect your work? (MV) – You know I played volleyball on a semi-professional level. Sports helps you unload the pressure in your everyday life. It removes stress, makes you feel somehow recharged. If the humans are like computers, sport let us shut down all systems, hard drives, free up memory, and restarts us. If I could play more than once a week, I would do it with great pleasure. There is nothing better for health than physical exercise. You’ve been working for years on this market. I appreciate the opinion of people like you. In this connection – where is the Bulgarian military industry between the old glory and the new markets? (MV) – Well, in the middle. That keeps it alive. But I want to say that the role of the government is very important. If it does not, this industry would very hardly exist at all. The military industry is one of the engines of the Bulgarian economy. Tell me more specific things. I’ll help you – Optoelectron how does it work? (MV) – You personally know that in some of our business areas we are very competitive on international markets, but we are not in others. For example, nanotechnology – here we are lagging behind, not just us as a company, but the country as a whole. This requires purchasing sensors, high-level electronics, motherboards with many elements. Why not to do it in Bulgaria? Why not to develop our own technology production? If the big international companies and military governments are a shark, the Bulgarian business is reciprocal as a small fish around the shark that feeds on the remnants of shark`s lunch. Am I right? Your company`s CEO told me that many years ago, and it`s been stuck in my mind. (MV) – Yes, this comparison is very good. The government must play much more important role in defending Bulgarian interests and production in the military, and not only. A company that has the protection and support of the country will be able to operate more smoothly in the markets, increase its profits and reinvest it in development. Should I continue? All this will guarantee the image of Bulgaria to Western investors, increase the standard of life of the people working in this sphere, and will get back quality specialists in Bulgaria. I know the next fact, but because of our readers I will ask you – do you have a shortage of qualified staff? (MV) – Unfortunately, it is not only us and not only in our sphere. I have talked to colleagues and friends from different areas of the Bulgarian economy – everywhere. This returns me to the previous answer – things will look radically different if the Bulgarian Government and business are allied, and everyone is striving to protect each other interests. What are your short-term goals in your professional life? (MV) – They are only two: to be healthy and fit in order to finish all the projects we are currently working on. In this busy daily routine, do you find the right way to balance personal and work life? Is there balance at all? (MV) – I try to set the following limit – in my personal time I can afford to talk to colleagues, clients or partners, but I avoid taking work for home. The balance is difficult to achieve, although we try not to talk and comment work at home. 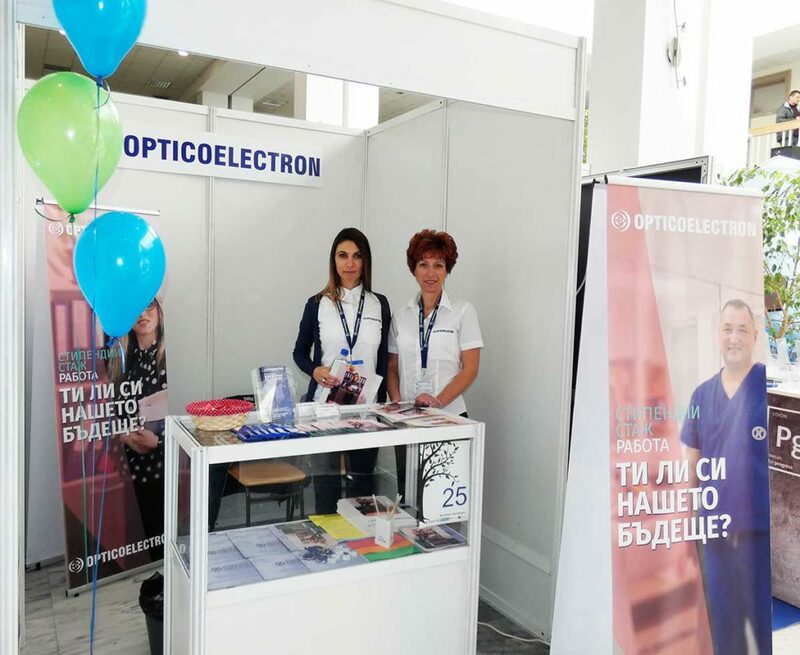 Opticoelectron Group JSCo presented an exclusive series of short wave infrared lenses (SWIR), within the Eighth Conference with international participation “Civil Safety 2017” at the Academy of the Ministry of Interior, on 6 and 7 April in Sofia. 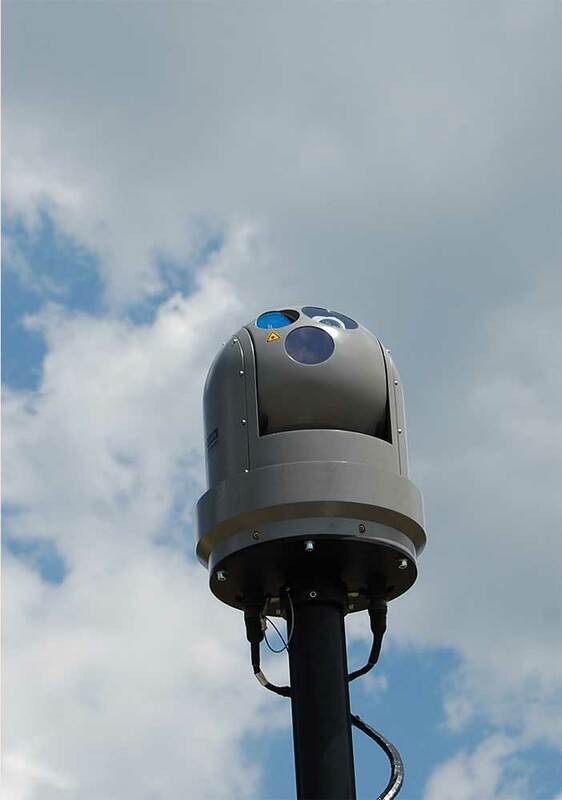 SWIR lenses are innovative part of comprehensive system solutions for fire detection in conditions of total darkness, providing perimeter against hostile actions, securing borders and detection refugees. 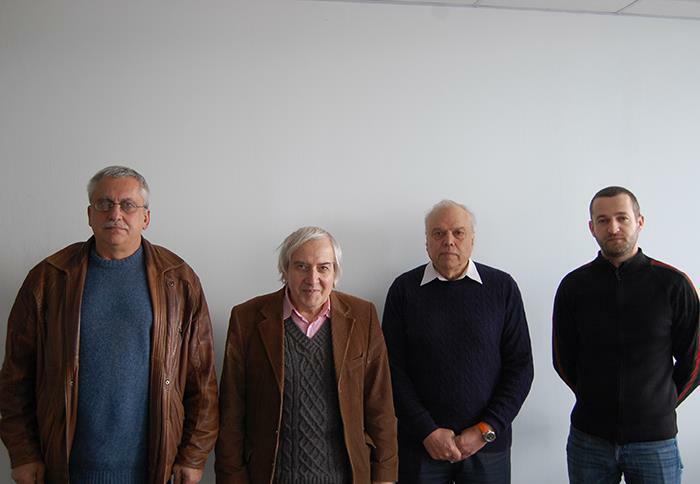 Opticoelectron Group JSCo donated to the “gold physicist of Bulgaria” Theodosius Teodosiev (Man of the Year for 2014) Helium – Neon laser unit, school boards, and optical instrumentation and components. True educator which wish health and luck, and to continue to explore the mysteries of physics to the young minds of Bulgaria. “Opticoelectron Group” JSC once again have participated successfully in the International Exhibition of Defence and Security DSEI, which was held from 15 to 18 September in London, UK. DSEI combines an international exhibition and conference, addressing the issues of defense and security. Exhibitors presented their systems for defence and security equipment for Air, Sea and Land Forces. Discussed topics during the conference are related to the border control and surveillance, counter-terrorism, human trafficking and organized crime. The main task of the event was to promote the relationship between manufacturers and potential customers. Visitors to the stand of “Opticoelectron Group” had the opportunity to experience the latest advanced and innovative developments in the product range of the company, like the system LARTOS, which can be used for target acquisition and observation for field artillery. It is a great instrument for target determination by forward observer, with a digital and mechanical magnetic compass, rangefinder and thermal camera. This version LARTOS is designed to determine spherical and rectangular co-ordinates of the target. The software automatically assists the operator in some tactical tasks necessary for forward observer and field artillery fire control. LARTOS system includes: – Laser Range Finder; – Calculation Computer; – Digital Goniometer; – Thermal imaging camera; – GPS; – Tripod; – Case. Multirotor Drones for search and rescue “SENSOR OE-1” (“SEarch aNd reScue multirOtor dRone”), which were also presented for the first time at the exhibition as a part of the product portfolio of the company, have sparked huge public interest with their shape and main advantages. They are equipped with top class sensors and thermal imaging technologies such as: radio for bidirectional transmission of commands, telemetry and video signal between aircraft and mobile ground station; specialized recognition software for finding survivors in fires when shooting with a thermal imager; mapping software for industrial, agricultural and other areas; Autopilot software to implement the missions without the need for operator intervention; Software for Perimeter surveillance (according to previously specified maps and missions) and implementation of passive security; software for remote video control and real-time transmission of video; GPS, barometer, compass. 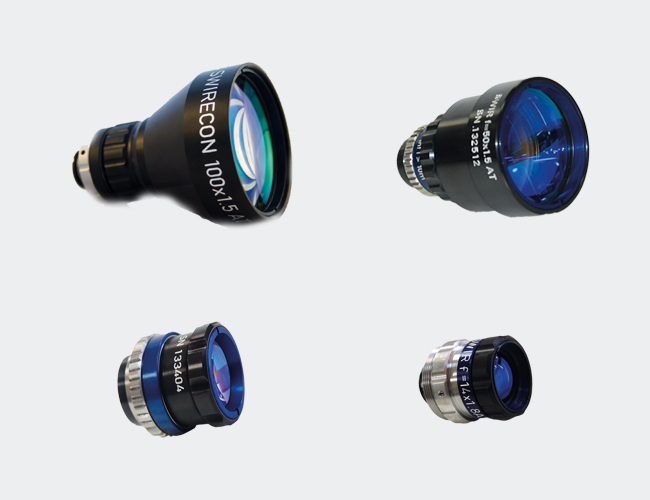 New Short Wave Infrared Lenses (SWIR): “SWIRECON 50”, “SWIRECON 25”, “SWIRECON 14”; “SWIRECON 100” have been presented as well. OPTICOELECTRON had VIP Visitors of the stand as Deputy Minister of Economy Lyuben Petrov; Mr. Konstantin Dimitrov – the Bulgarian Ambassador in the UK; MOD and Government buyers and decision makers from the key growth markets; very high calibre representatives from the Middle East, India, South America, South and Far East Asia, Australasia, United States and Europe. Clear vision, innovative and high-quality products, best developed technologies are what OPTICOELECTRON demonstrated at its stand during DSEI 2015. © 1971 - 2018 Opticoelectron Group JSC | All rights reserved!